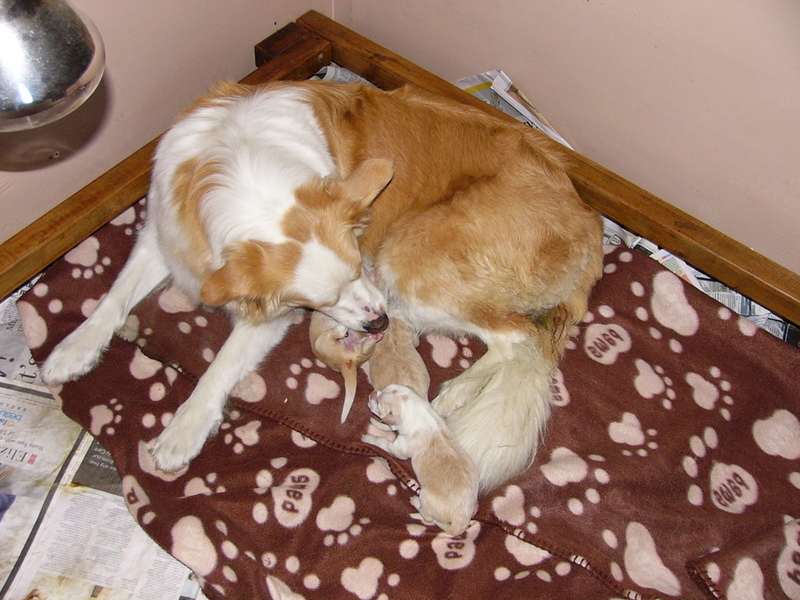 Wednesday 24th November Maddie and Kimba both had their puppies. 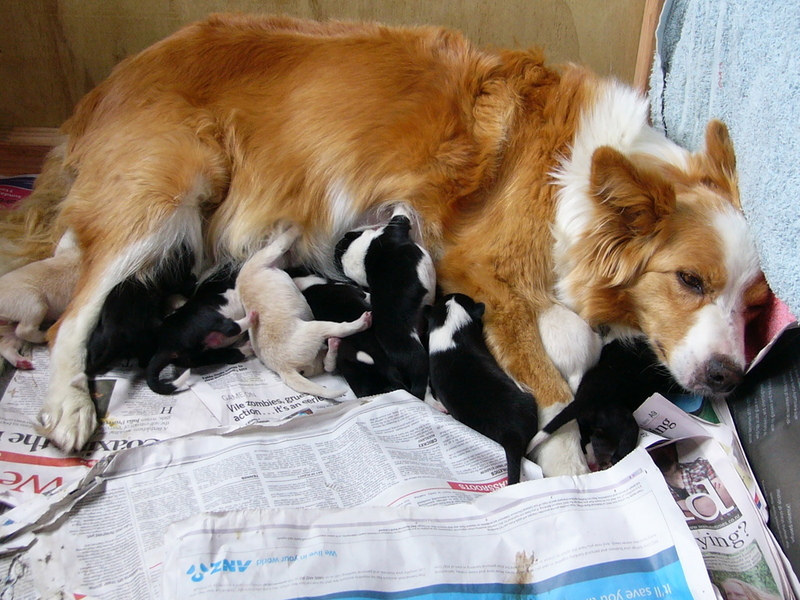 Maddie had her first pup at 12.15pm and number TEN pup arrived at 8.55pm.. so yes a very big litter for our Maddie & Bill. We have 5 black boys, 2 red boys, 2 black girls & 1 red girl. They were all around 250grams & all very healthy. Maddie is her usual awesome Mum & boy she has got her hands full with this lot. 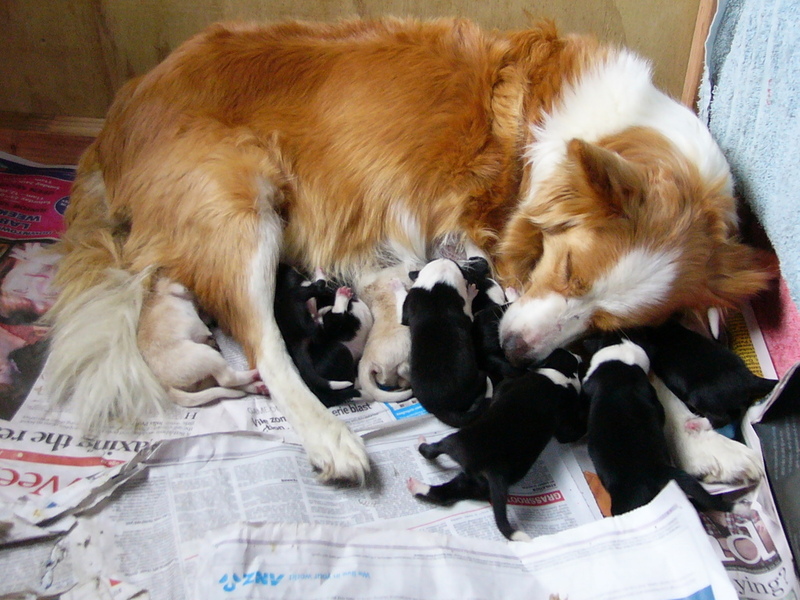 If you are interested in a pup please email me catherine@bordercollie.co.nz or phone (nights are best to catch me) 07 549 3131. 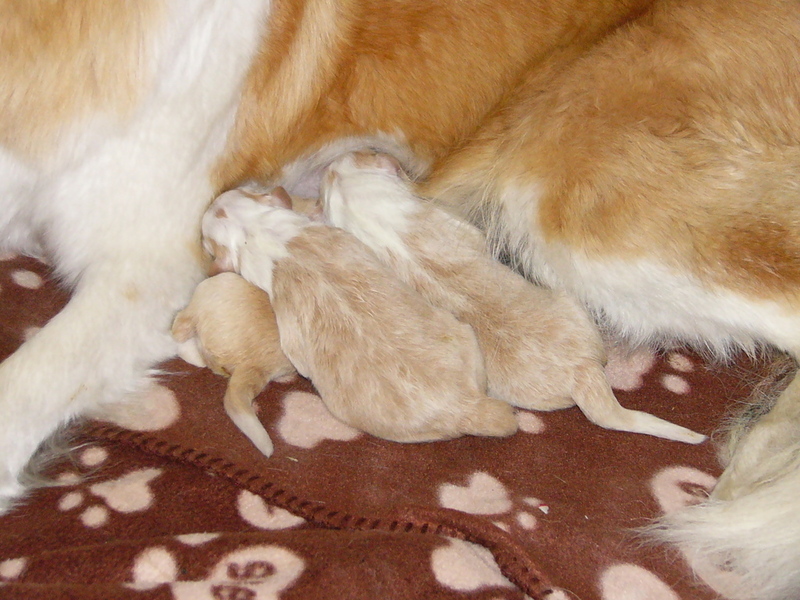 Then on the same day at 4.45pm Kimba nd Bruce had their first baby. It certainly was all hands on deck for those following hours. Pam (Kimba’s owner ) was here with us for support & a ‘new experience’!!! 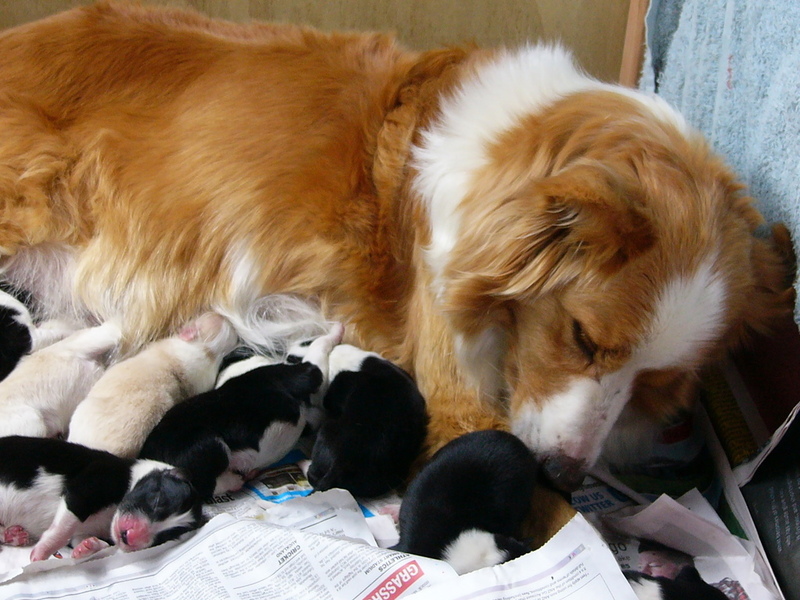 Kimba being a first time Mum found it all a bit stressful really & we really appreciated Pam being here to support her & Us!! 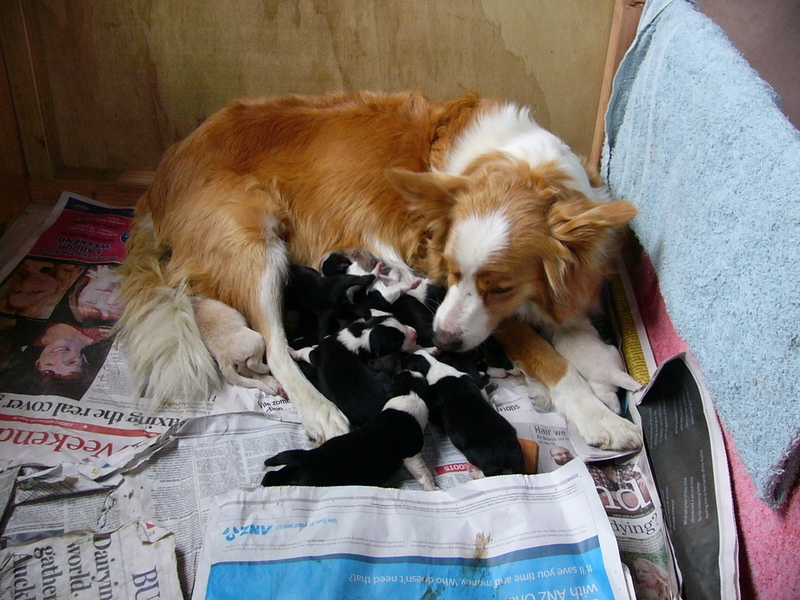 Kimba went on to have 7 pups but sadly we lost 4 of them. She has however got 3 VERY big strong healthy babies to bring up. 2 red girls & 1 red boy. She lost 3 red girls & 1 black girl so a sad time there. 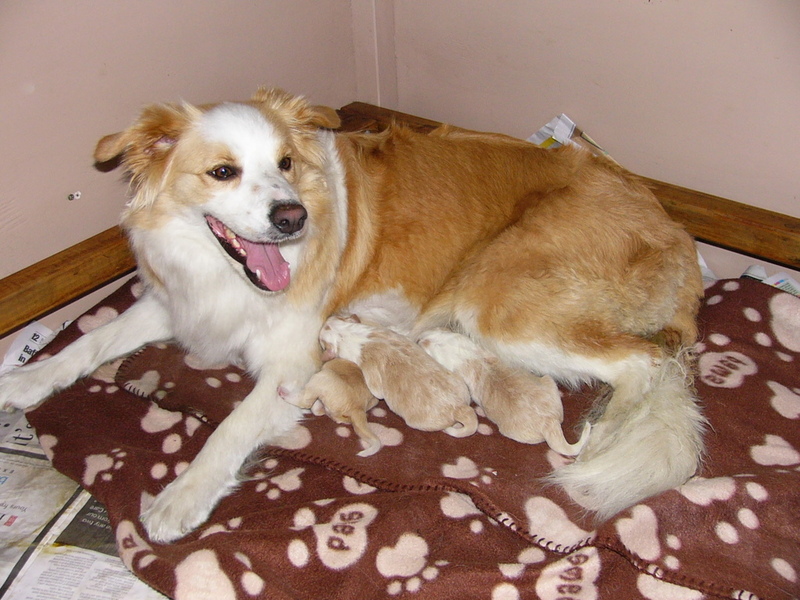 Her 3 healthy pups all have a good birth weight between 350-400gms. ← Two by two they came..